Home / Media / Blog / What’s Blocking Your Conversions? We’re all pretty familiar with the classic advertisement structure of having bold call-to-actions, strong headlines and eye-catching images, but even with all of these components, you still might not be hitting your maximum conversion rates. Whether it’s a call option, email, chat box, or click-to-call, customers want to be able to choose their customer service option. A study by AmEx highly supports this claim. 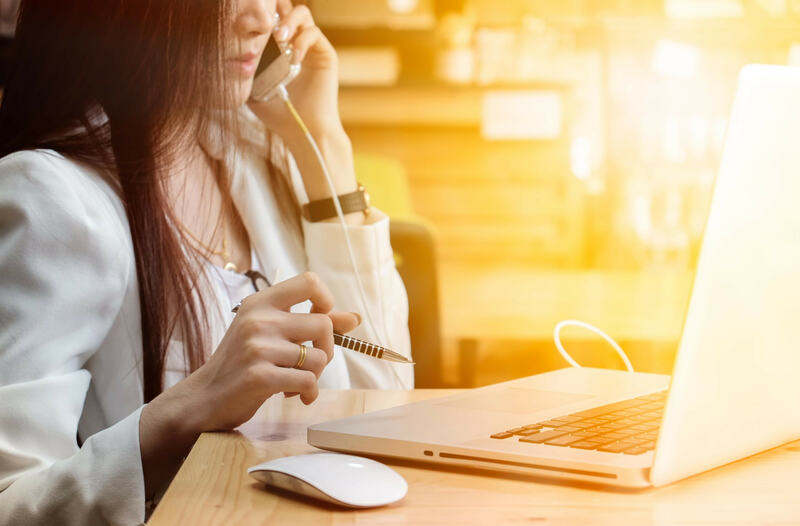 Customers call in for different reasons, and each reason determines whether or not they want to wait a few hours for an email back, or an immediate resolution through self-servicing. For the latter, click-to-call would work best. The AmEx study revealed that simple inquiries, such as checking an account balance, scored the highest for email. As inquiries became more complex, the desire for a live agent increased dramatically (it more than doubled). In addition to maximizing efficiency and giving your customers exactly what they’re looking for, multiple contacting options will also boost your credibility as a business. It makes your service seem a whole lot more trustworthy because you’re demonstrating how available and dedicated you are to your customers. It shows people that you’re willing to solve their problems, and that speaks volumes on how you run your business. It’s one thing to optimize your advertisements according to standard conventions, but it’s another thing altogether to truly know your target audience and to optimize your ads specifically for them. When we say, “Know your audience,” we’re not just talking about having a vague or idealistic perception of what you envision your audience to be. Most standard analytics only give you the basics of your web traffic, not even your call traffic. Calls are downright crucial because they generate almost ten times more conversions than web conversations. Chances are, the information that you receive from your current analytic software tells you almost nothing about who your advertisements are attracting, much less which advertisements work best and why. Our suggestion? Invest in a state-of-the-art call tracking software. Phonexa’s advanced call tracking boosts your ROI by providing detailed reports and metrics of your inbound and outbound calls. You’ll find out: the name of calls, phone numbers, reason for the calls, location of calls, the advertisement that prompted their call, the keywords that promoted their call, the success rate of each call, which department/representative(s) handled the call, and the length of the call. With these valuable and detailed insights, you will be able to optimize your marketing campaigns to bear the most impact for your target audience. As we briefly mentioned, calls are incredibly important for bringing in more conversions. Now that 95% of all Americans own a mobile phone, and 77% of whom are smartphone owners, investing in your call experience is an absolute must. The marketing landscape becomes increasingly mobilized (that is, optimized for the smartphone user) every year; precisely because calls are so important to our everyday lives. To make your call experience as efficient as possible, offer two things: self-service and no holds. At the end of the day, people just want to get their issues resolved. If it’s a small issue, they would rather resolve it themselves through self-service. You can cater to this need by implementing a natural-speaking voice response system to interact with your callers. To solve the problem of having long hold times, use Phonexa’s Automatic Call Distributor with call tracking to automatically redirect your calls to the appropriate departments or agents. Your call experience will skyrocket! To improve your overall call experience and see your conversion rates overflow, integrate with Phonexa’s platforms. We’ll help you reach your full potential.